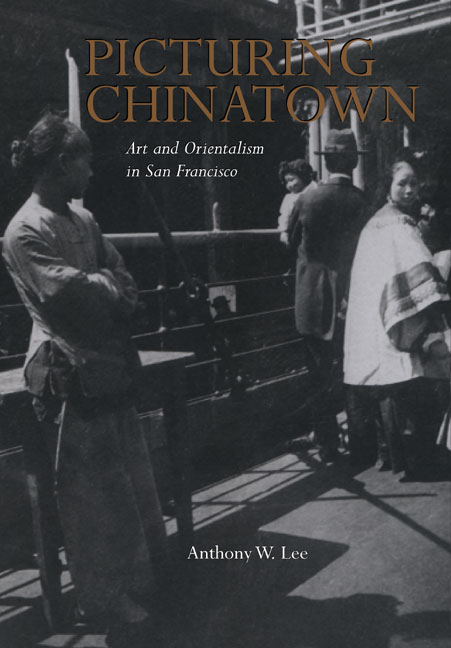 This visually and intellectually exciting book brings the history of San Francisco’s Chinatown alive by taking a close look at images of the quarter created during its first hundred years, from 1850 to 1950. Picturing Chinatown contains more than 160 photographs and paintings, some well known and many never reproduced before, to illustrate how this famous district has acted on the photographic and painterly imagination. Bringing together art history and the social and political history of San Francisco, this vividly detailed study unravels the complex cultural encounter that occurred between the women and men living in Chinatown and the artists who walked its streets, observed its commerce, and visited its nightclubs. Artistic representations of San Francisco’s Chinatown include the work of some of the city’s most gifted artists, among them the photographers Laura Adams Armer, Arnold Genthe, Dorothea Lange, Eadweard Muybridge, and Carleton Watkins and the painters Edwin Deakin, Yun Gee, Theodore Wores, and the members of the Chinese Revolutionary Artists’ Club. Looking at the work of these artists and many others, Anthony Lee shows how their experiences in the district helped encourage, and even structured, some of their most ambitious experiments with brush and lens. In addition to discussing important developments in modern art history, Lee highlights the social and political context behind these striking images. He demonstrates the value of seeing paintings and photographs as cultural documents, and in so doing, opens a fascinating new perspective on San Francisco’s Chinatown.